It hasn't yet been confirmed that the three leads of the original Star Wars trilogy are returning, but that doesn't really matter because everyone has figured it out anyway. Thanks to photos, inside sources, and Carrie Fisher's loud mouth, it's pretty much certain that Luke, Leia, and Han are making their comeback and new reports make this news even more solid. It seems as though Carrie Fisher, Mark Hamill, and Harrison Ford are all in London filming Star Wars: Episode VII. According to Entertainment Weekly, Fisher, Hamill, and Ford were all in London this past weekend. Ford was spotting leaving a London restuarant, Fisher joked about her dog being spotted in London on Twitter, and Mark Hamill took a picture with comedian Peter Serafinowicz who then tweeted the picture revealing that Hamill was in London. 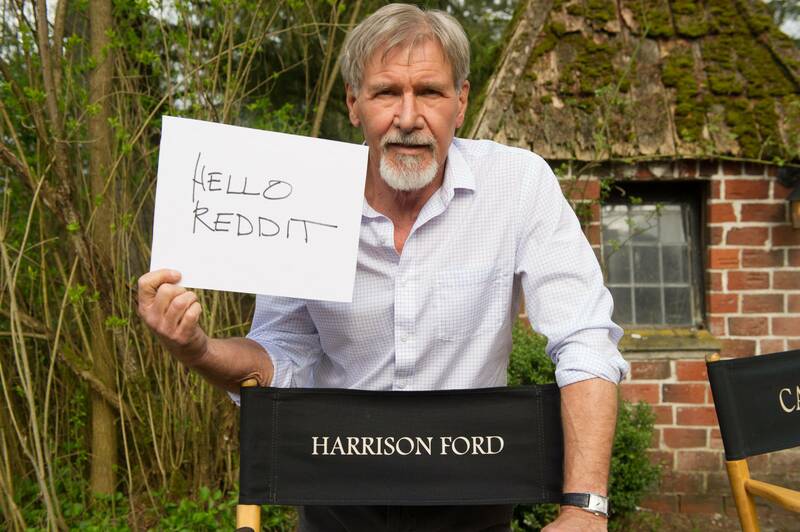 In addition to this, Cinema Blend points out that in a photo Ford posted for his recent Reddit AMA, he is standing behind a director's chair with his name on it and next to one that possible says Carrie Fisher — only "Ca" is visible. Of course, all of this is only additional information to news that was already known. In a January interview with TV Guide, Fisher said that she and her two costars would be returning; although they didn't confirm the news themselves. Han's partner Chewbacca has also been confirmed as returning to the film and it'd be unlikely that he'd show up solo (pun absolutely intended). Filming of Star Wars is slated to begin in early May which goes along with theory that Ford, Fisher, and Hamill are all there for that reason. Star Wars: Episode VII will premiere Dec. 18, 2015.